When Nancy goes stargazing, she catches a comet of an adventure by the tail! Nancy and George are thrilled when Bob “Dr. Stars” Steller, a cool astronomer with a popular radio program, comes to River Heights for the Perseid meteor shower. And Bess goes into orbit when she learns that a Hollywood heartthrob and his girlfriend are also secretly in town. 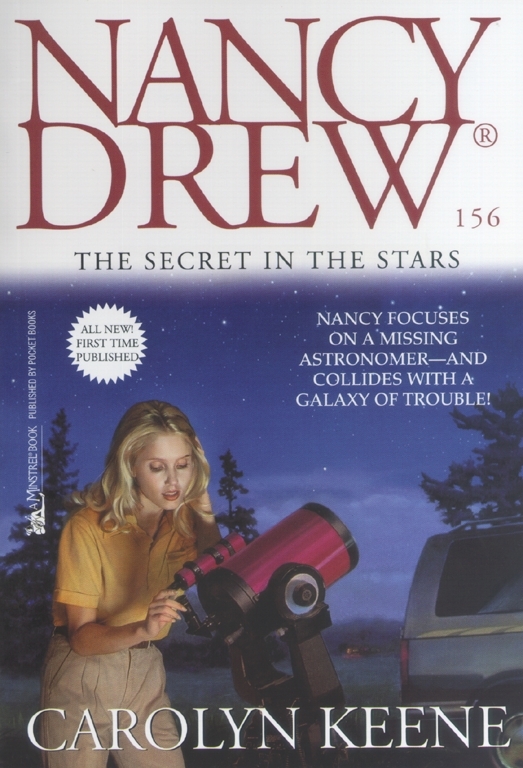 But when Nancy finds Dr. Steller’s van deserted and runs into a hostile rival of the astronomer, she senses a dangerous black hole in the event. Then Dr. Steller finally appears—or is he an optical illusion? As Nancy uncovers more evidence, her suspicions lead her into a sinister scheme moving faster than the speed of light!